A NEW BOOK BY REBECCA ANDERSON! Making Adorable Button-Jointed Stuffed Animals shows how to make 20 delightful animal figures using felted wool from old sweaters! 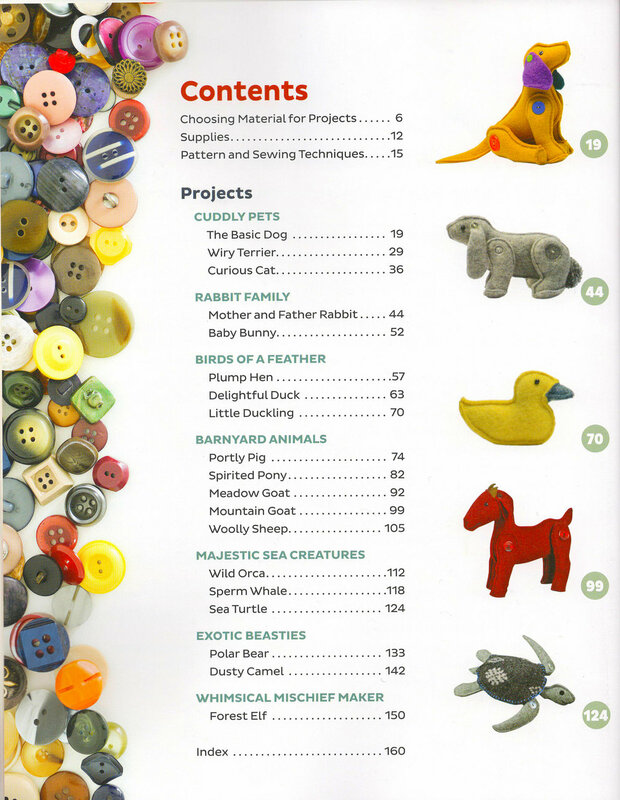 This collection of 20 button-jointed felted wool figures is fun for crafters, parents looking for kid-friendly projects, and beginner sewists. Each uses felted wool made from recycled sweaters (polar fleece or coat-weight wool are also options). The button joints allow the figures to be posed, making them ideal for play or display. The book's emphasis is on hand stitching, though sewing machine alternatives are covered as well. 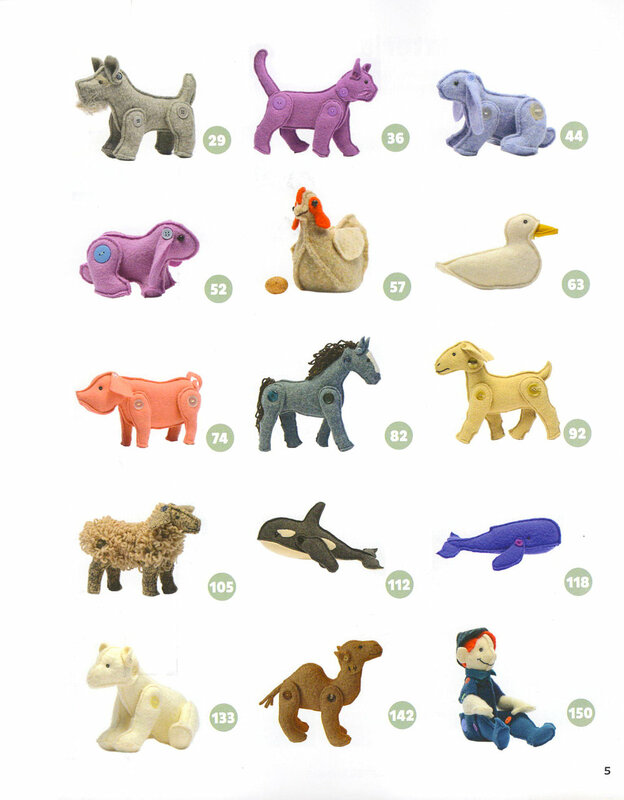 These toys are easy to sew by hand and compact enough to work on most anywhere. Add decorative stitching of a jazzy color and some unusual buttons and you'll have a one-of-a-kind toy that is sure to please!